The hunt for the famed burial site of all those awful Atari E.T. cartridges has been brought to a halt by environmental regulators. Among gamers, it is a place of legend: A secret graveyard, where Atari went to die. 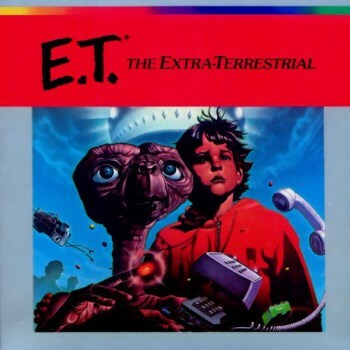 Back in 1982, Atari released a game based on the hit Steven Spielberg film E.T. that was so execrable it was forced to bury it - literally, so the story goes, somewhere in New Mexico. But nothing stays buried forever, and last year two documentary film crews announced plans to seek out the long-lost landfill and dig up the stash. Filming on one of them was slated to start earlier this year, but now the whole thing has ground to a halt over state environmental regulations. A "waste excavation plan" submitted in February was found to be lacking in necessary detail and was thus rejected by New Mexico's Sold Waste Bureau, which "noted many items that needed to addressed, included or clarified before the Bureau could approve the plan." "No one is allowed to dig until the WEP is approved by the [Solid Waste and Ground Water Bureau]," New Mexico Environment Department spokesman Jim Winchester told the Alamogordo Daily News. "A WEP must be approved in advance of any excavation, and that includes even the city of Alamogordo." The excavation may proceed if the two companies involved, Fuel Entertainment and Lightbox Interactive, are able to satisfy regulators, but as of March 17 neither had submitted an updated plan. Lightbox Producer Catherine Pasciak did say, however, that the company still plans to make its film once it receives proper approval.